This ensures an abundance of resources as the Customer does not have to share labor, equipment, dock doors, or floor space with other Customers. Contract Warehousing differs from Public Warehousing in that it is typically a multi-year arrangement and it usually entails more aggressive facility start-up activities including facility selection, acquisition of equipment, and deployment of labor. Nebraska Warehouse has an implementation processes in place to support facility openings efficiently and quickly. We also handle import and export. Cross docking refers to unloading incoming wares and immediately loading these onto outbound trailers. In addition to the above- mentioned facilities, contract warehouses provide a number of other services to suit the needs of the clients. 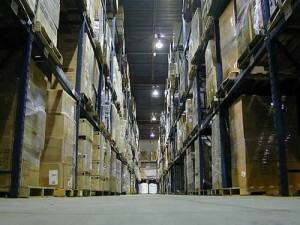 We can provide our clients with either public warehousing or contract warehousing solutions. We have the ability to operate the facility using your technology, our technology or a combination of both. We also offer build-to-suit facilities for our contract warehousing customers. The choice is yours. To learn more about how Nebraska Warehouse can help with your warehousing needs, fill out the contact form on this page Contract Warehousing quote.